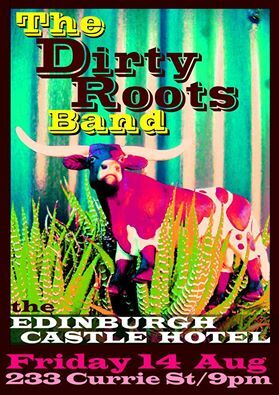 Don't miss the Dirty Roots Band this Friday night Aug 14 at the Ed. The all-star line up features Nik Kipridis & JJ Fields on Guitars, Snooks La Vie on Vox and Amplified Harmonica, Den Kipridis on Bass, Diamond Deryck Charles on Keys and Little Micky Garcia on the Tubs. If authentic blues and roots is your bag then this ones for you.